Because there are six different pericopes for this day the commentary will by necessity be limited. More space has been given to the festival first six months commentary than will be given to the last six months. 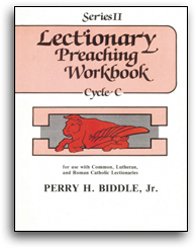 The preacher is referred to the recommended commentaries for greater details. The lessons for today deal with language, unity and the work of the Holy Spirit promised by Jesus. The Acts 2:1-11 (RC) reading will be dealt with in the longer Acts 2:1-21 (C) (L) reading.